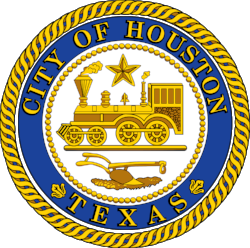 The Houston City Council has approved 39 new bike-share stations, giving the city a total of 97 stations and 767 bikes through the Houston BCycle network, reports the Houston Chronicle. A large portion of those stations will be inside the I-610 Loop, which includes the central business district and some gentrifying neighborhoods. Council Member Dwight Boykins was the only vote against the expansion, saying he wanted bike-share to expand to more underserved communities like Sunnyside and South Park. “Until they can allow the people [to] access quality health in my community, they will not get another vote from me,” Boykins told Houston Public Media. BCycle tweeted support for Boykin’s position, saying "We look forward to working with his office to offer the cheapest ($0.27/day), healthiest (~280 cal burned/ride), and most sustainable (zero emissions) public transit in the city to more underserved communities." The BCycle expansion comes as other cities are expanding both docked and dockless bike-share networks to give residents alternative transportation options. Seattle this summer approved regulations that would allow up to 20,000 dockless bikes from different companies to operate on city streets (while also raising permit fees to cover infrastructure costs), a reversal from that city’s shuttering of a docked bike-share network a year earlier. Advocates have also urged Washington, DC to plan for a total of 20,000 bikes and scooters in that city. But Boykins’ complaint speaks to a common criticism of bike-share networks across the country, which will typically launch in more dense downtown neighborhoods before reaching underserved or farther-flung regions. A 2016 University of Vermont Transportation Research Center study found that across seven cities, bike-share stations were disproportionately closer to white, college educated and higher-income residents, and Marketplace reports that researchers have found similar findings in other studies. And as dockless companies enable more bikes to be spread throughout cities, ensuring that they serve all neighborhoods will remain a priority for public officials.